'It's easy to sit in your little silo and constantly try to churn stuff out but you need to take time to build relationships': Oxford Sparks's Michaela Livingstone Banks on the need to network. Just over ten years ago a couple of communications staff at Oxford University realised that there was need for a one-stop-shop where members of the public could go to find out more about the university's scientific research. Oxford Sparks was the result. It started out as a website and has since grown into a multi-faceted digital engagement programme, including including podcasts, animations, blogs, teaching resources and live streaming events. In charge of it all is Michaela Livingstone Banks, who is this week's podcast guest. 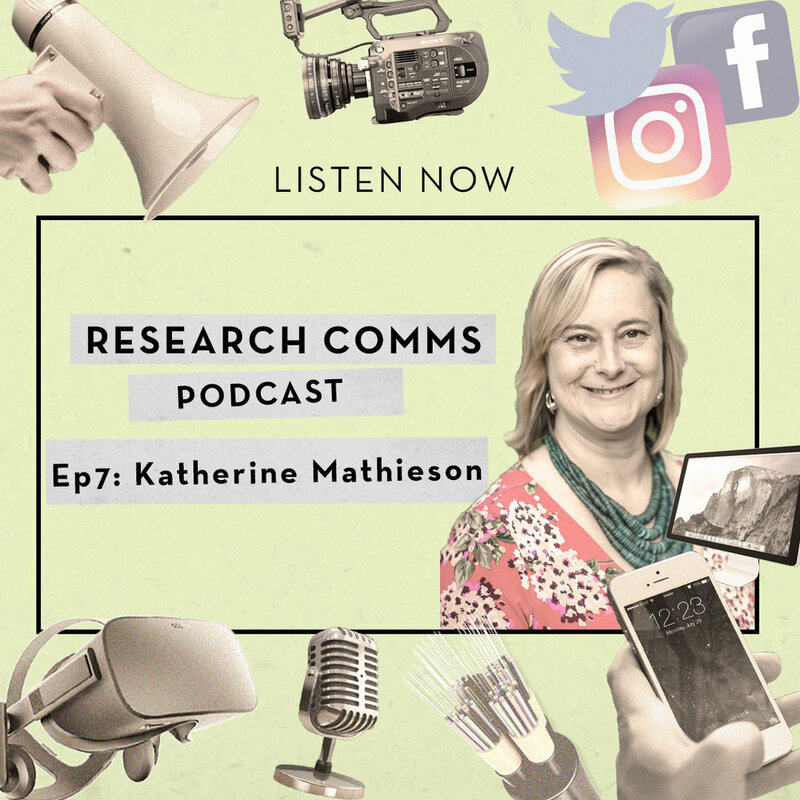 In this episode of Research Comms she discusses the need to be realistic when defining a target audience, getting scientists into bed for Facebook Live, overcoming social media algorithm changes and the power of networking. Below is an excerpt from the episode. For the full interview download the podcast. How have you defined your Oxford Sparks target audience? We try to think about it in to two ways, so on the one hand we know that there are people who really like science and we think of them in terms of our set audience, as in we put something out and they will definitely see it because they're following us. I think being realistic, which I think you have to be, if they're following our University’s science outreach project they're probably particularly interested in science or they live locally or like things like that, so we tried to think quite pragmatically that we're generally looking at science inclined people and at the lower end we're looking at 11 plus and that's mainly driven by the fact that our animations and the teaching resources are designed with secondary school students in mind. So that's our fans, our Oxford Sparks fans as we call them and they follow us but the other thing that we try to do is look at the specific topics where we’re working with for say an episode of a podcast or an animation and thinking about who would be interested in this in a wider sense so, for example, we have an animation about how footballers tend to have a different hip shape to everyone else and how that can lead to osteoarthritis developing relatively early, so obviously when we're looking at that and we're thinking ‘how can we share this on social media?’, ‘who can we target?’ we're thinking of people who are in into sports. Or if we’ve got a podcast with animation about new fathers obviously we’re thinking of parents, people who are interested in parenting and all of that kind of stuff, so we try to think about it in those two ways overall. That of course means it looks like we're trying to reach everyone but actually it’s more targeted than that. What are your 3 takeaways or pieces of advice for people or small groups looking to boost their own digital public engagement efforts? 3) The last thing is to use your passions. Some of the best public engagement I've seen on and offline by individual researchers or even people who are doing stuff on behalf of groups is based on things that they're really excited about and they’re passionate about, so that could be a hobby like poetry, and because you're interested and passionate about it it's just so much better, so much more authentic and authenticity, especially on social media, is what makes a really big difference and it makes it easier to do and easier to cope. So, as a professional you’re going to have a job to do and you have to deliver some stuff, clearly, and you’re probably going to want to do it in a equitable and transparent sort of way, certainly that's what I try to aim to do, which means I don't always get to do stuff about dogs, for example, but when I do it just lifts everything and makes it that much more enjoyable.